I like you panache' (oh gosh did I spell that right?) Ms. Anderson! Oh that is so true. 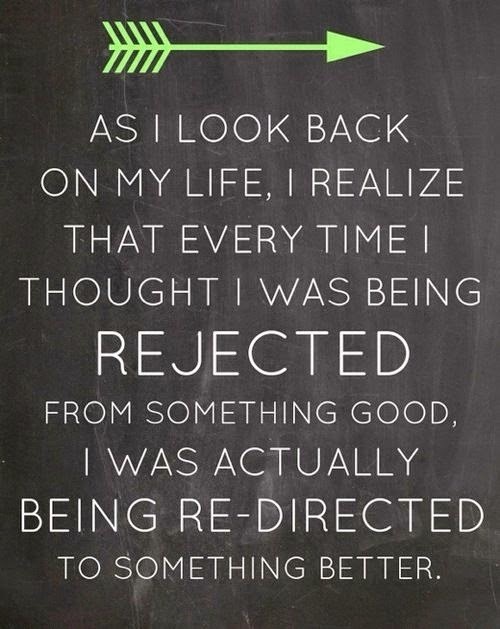 I have found so many neat things and discovered so much about myself when I have been 'rejected'. That is the right kind of thinking. 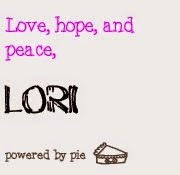 Oh Lori that is just the way it is ! We make plans but God directs our steps. When Emanda was "let Go"from SMU we thought that was the end of the world. But she was given 12 graduate. Hours as part of her severances pay. She worked them like a job and earned a scholarship and travel money to travel for her research for her Masters.